Lunar New Year: Sheep or goat? 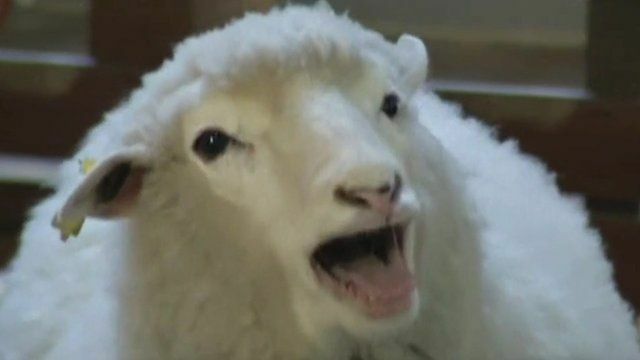 Jump to media player BBC News investigates the confusion over whether the Lunar New Year is dedicated to the sheep, ram, or goat. Greek euro exit explained - with kebab Jump to media player BBC News looks at how Greece could change its currency, if it decides to leave the eurozone. What is cricket? 90-second beginner's guide Jump to media player As the Cricket World Cup gets under way, BBC News provides a 90-second beginner's guide to the ins and outs of the revered sport. Russia's new army - in 90 seconds Jump to media player As Russia cuts down on spending elsewhere, it is pumping more money into its military. BBC News takes a look at what it is spending its money on. Nato's 'spearhead' force - in 60 seconds Jump to media player Nato is forming a new 'spearhead' force aimed at deterring what is perceived as a potential Russian threat. BBC News assesses the force's capacity. Is flying getting more dangerous? Jump to media player After the latest in a spate of commercial plane crashes, BBC News takes a look at the numbers to find out whether flying is getting more dangerous. Would you drop nationality for freedom? Jump to media player Jailed Al-Jazeera journalist Mohamed Fahmy has asked his Twitter followers whether they would renounce their nationality if it meant they could be freed. NFL star refuses to play ball with media Jump to media player A day after repeating one line 29 times in a news conference, Seattle Seahawks player Marshawn Lynch has been at it again, giving a variation of the same answer 14 times. El Capitan - world's toughest climb? Jump to media player BBC News takes a quick look at El Capitan's Dawn Wall in California, arguably the world's toughest rock to climb. Japan's resurgent army - in 60 secs Jump to media player Japan's largest ever military budget is a sign of an increasingly well-equipped army. Putin's 15 years in power - in 90 seconds Jump to media player A 90-second look back at some key events in Vladimir Putin's 15 years at the top of Russian politics. Hundreds of millions of Chinese people are travelling home to spend the Lunar New Year holiday with their families in the world's biggest annual migration. But while it is farewell to the Year of the Horse, confusion abounds as to whether the coming year is dedicated to the sheep, ram, or goat.